Oh Leo. Sweet beautiful tropical fish Leo. 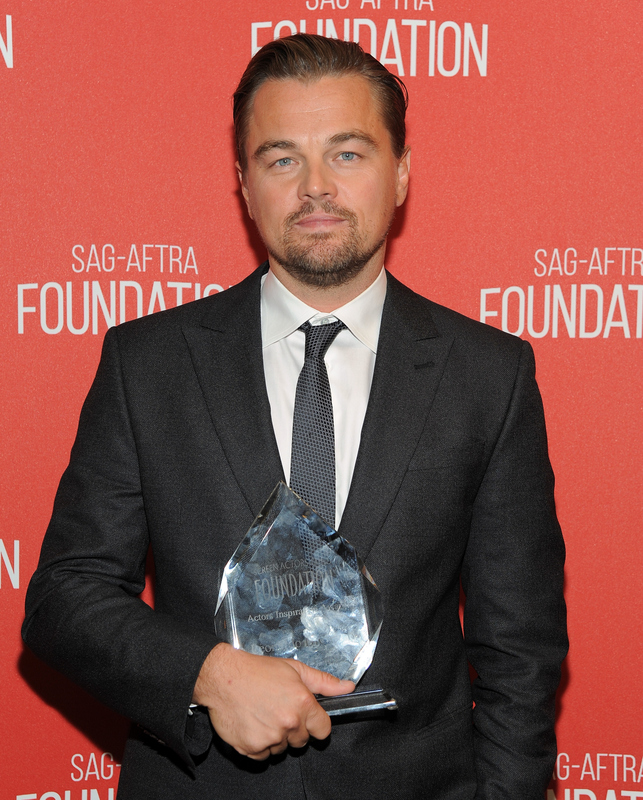 Every awards season, I feel for Leonardo DiCaprio, I really do. I mean, how many times has he lost out on an Oscar? A million billion? The poor guy literally shed blood the year he was nominated for his role in Quentin Tarantino's Django Unchained, and still, no Oscar. He didn't even win a Golden Globe award for that role! Honestly, at this point, I really just feel like the guy needs a hug. But, since me giving Leonardo DiCaprio a hug would, I assume, be very frowned upon by his security detail, I would also settle for him earning some well-deserved Golden Globe nominations this year for his role in The Revenant. And, with the Golden Globes nominations ceremony taking place on the morning of Dec. 10, it luckily looks like we all don't have to wait very long at all to find out if DiCaprio is nominated this year for any awards at the GGs. Like, you'll only have to wait until the end of this sentence: This year, Leonardo DiCaprio received a Golden Globe nomination for Best Actor in a Movie in the drama category for The Revenant — yay! And now that we know that DiCaprio wasn't snubbed, we can all rest easy knowing that he has a shot of snagging one of those elusive Golden Globes this year after all. Even better? This shows awesome promise for his future this awards season, because Golden Globe nominations can often be pretty predictive of what will go down at the Oscars. And as we all know, DiCaprio has been dying for an Oscar for years — actually, the rest of us have been dying for one for him — so maybe this is the first sign that things are finally going to turn around this year. He's due for a streak of good luck in this department, and it's not like he doesn't deserve the recognition for a long, successful career. I mean, I'll probably be disappointed to see the running joke that is DiCaprio's awards loss come to an end, but it's more important that he gets a token of his hard work in the form of a shiny new award for his mantle. Good luck this year, DiCaprio. My fingers are crossed for you!